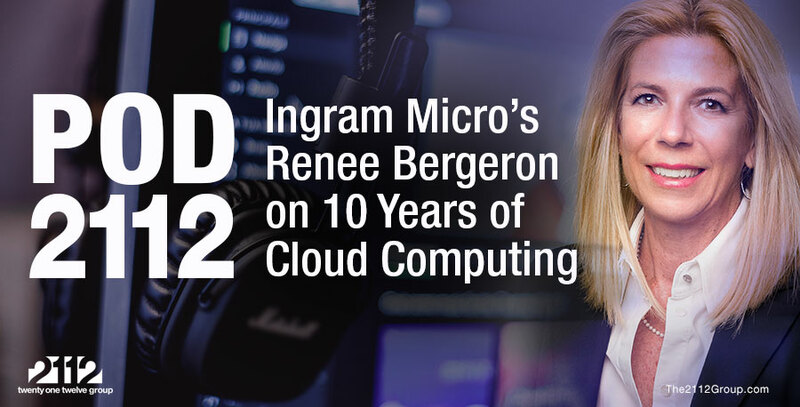 The 2112 Group, Ingram Micro Cloud, and Microsoft have partnered to provide partners with a new tool for understanding their relative competitive standing in the cloud computing market. Knowledge is power, and never has that saying been truer than in the cloud computing era. Providing the channel with knowledge is why The 2112 Group, with the support of Ingram Micro Cloud and Microsoft, created the 2112 Group Cloud Altimeter, a Web tool that arms solution providers with comparative data on how well they stack up to other resellers in the cloud computing market. The Cloud Altimeter aims to help solution providers climb higher in the cloud market by giving them key insights – a flight plan if you will – on where they stand relative to other solution providers in the U.S. market, as well as their competitive position relative to resellers in their operating region. @The2112Group @IngramCloud @Microsoft provide partners new tool for competitive standing in cloud computing market. Why is this important? The baseline research conducted in support of the Cloud Altimeter tool – detailed in our new report, State of the U.S. Cloud Channel – found that the average solution provider in 2016 earned 11 percent to 15 percent of its gross revenue from the sale of cloud goods and services. At the current pace of cloud growth, the average solution provider will earn as much as 40 percent of its revenue from the cloud by 2022. Sounds pretty good, right? Well, it’s not. The problem is this: The cloud computing market is growing faster than the channel’s capacity to deliver. In 2016, the average business devoted as much as 30 percent of its IT budget to cloud goods and services. By 2020, according to some estimates, cloud spending will consume as much as 70 percent of IT budgets. The 2112 Group Cloud Altimeter will show solution providers in graphic detail how well their cloud revenue, profit, product selection, sales capacity, customer engagement effectiveness, and growth potential compares to those of their peers across the United States and regionally. With the knowledge and insights provided by the Cloud Altimeter, solution providers will have the ability to better plan and invest in their cloud development. And cloud development planning and execution is something in short supply in the U.S. channel. According to the State of the U.S. Cloud Channel report, nearly three-quarters of solution providers don’t have a cloud business plan, more than two-thirds don’t have cloud sales goals, and more than one-half don’t have plans for growing their cloud practices. The State of the U.S. Cloud Channel report reveals in vivid detail that, while the U.S. channel has accepted cloud computing as part of its practices, it hasn’t fully embraced the cloud. And, if market trends continue unabated, many solution providers will find themselves increasingly at a disadvantage in the cloud marketplace. State of the U.S. Cloud Channel Report: #ITchannel has accepted cloud computing as part of its practices but hasn’t fully embraced the cloud. The 2112 Group Cloud Altimeter and its supporting resources are part of the solution. All strategic plans and investments start with the collection of information and the analysis of data. The Cloud Altimeter tool provides that data. 2112, Ingram Micro Cloud, and Microsoft are providing solution providers with additional guidance and training for using the data to bolster their cloud practices, get ahead of the competition, and thrive in the cloud computing era. The Cloud Altimeter is free and open to all solution providers. 2112 will publish periodic reports on the general intelligence generated by the tool. We believe efforts such as the Cloud Altimeter will help solution providers reach greater heights in the cloud. For more information about the Cloud Altimeter program, e-mail info@the2112group.com.